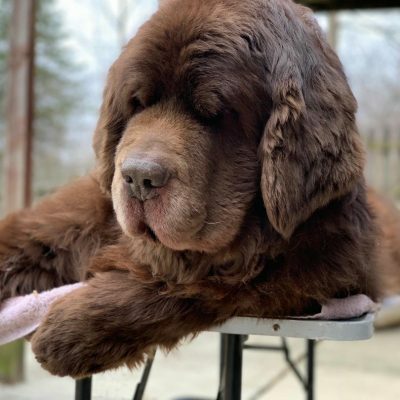 The Newfoundland is considered one of the best water rescue dogs that there is. Newfies do well with water rescue because of their muscular build, thick double coat, webbed feet, and their unique swimming abilities. They are known for being natural-born lifeguards in and out of the water and they will risk their live to save yours. With Water Season being underway across much of the country right now I thought it would be fun to highlight some Newfies and their owners who are working hard towards earning their water titles and some Newfies who are just working hard at loving the water. WD (water dog title)the basic water rescue work -fetching, towing a boat, delivering a line, swimming. WRD(water rescue dog) the advanced water rescue work -rescue, jumping from boats, directed retrieving. 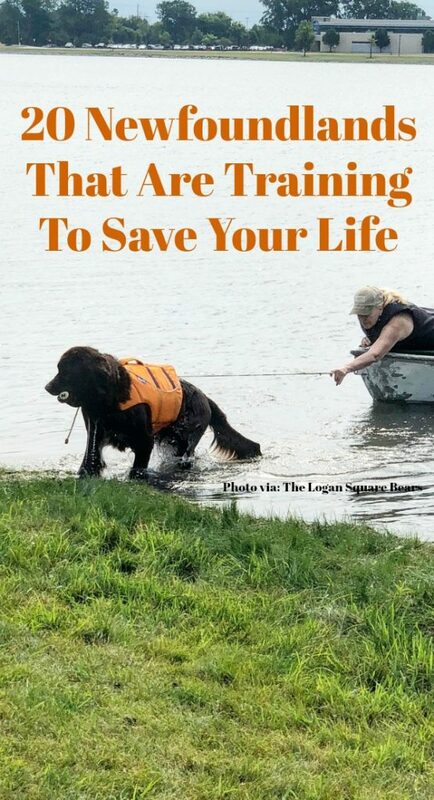 And/or WRDX (water rescue dog excellence) the highest title a dog can get in water rescue work. The exercises include high-level rescue, jumps from boats, diving under rafts, saving comatose swimmers, and directed retrieving. Cass is towing in a boat! Winter. Because logs need rescuing too. Scarlett’s working on her retrieving. Guggenheim is practicing hard and just about ready to go for it on his own! One day these sweet little fluffers are going to grow up and rescue someone, I just know it. Hudson proving that he may be little but he’s born with it! Larry’s almost got that jump down! Murphy. There will be no drowning of any creature or leaf while Murphy is on duty! Rosie is learning how to retrieve a life jacket! Winn’s been training all summer too and she’s working up an appetite. Brody conquering his fears and making it happen! It looks like Keva is gliding! 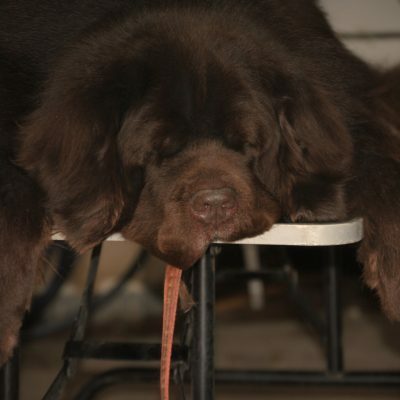 If you’re interested in learning more about water training with your Newfoundland you can visit the Newfoundland Club of America and reach out to your regional club to see where they train. 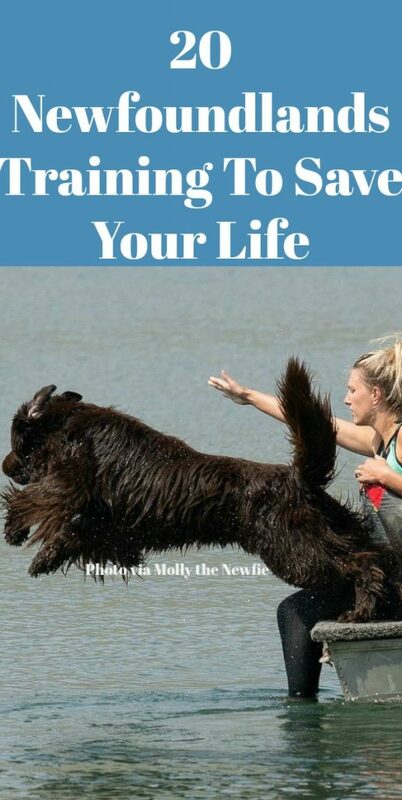 Have a puppy puppy that you want to get started on water training with? Check out Starting a Puppy in Water Work. Wondering why some Newfies wear life jackets when training? 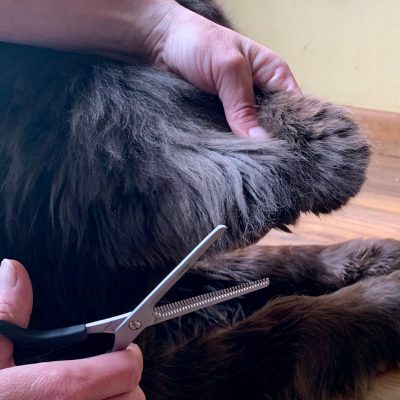 Check out this post from our friends Maisie The Newfie And Company. Want to follow Molly, Boomer and Duke while they train? Follow them on YouTube! And special thanks to all of our Newfie friends for letting us feature them in today’s post. Go check them all out and show them some love! « Stable Is Good, Right?